From first time abatement to reasonable cause, we got you covered. Start all Tax Resolution cases by looking at penalty abatement. Download and analyze IRS Transcripts within seconds. Easy access with one log-in. Get quick answers for your clients! 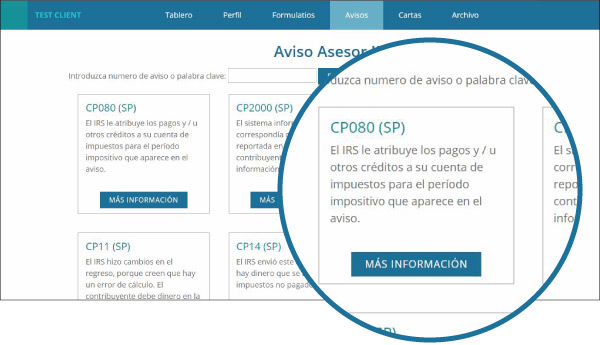 All input screens, letter templates, notice response and the available IRS forms output in Spanish. The only Tax Resolution System in Spanish! Watch a quick demo video on our software’s features! Members can join our monthly case study calls, submit your cases, questions or just listen. We run through tips, tricks and software demos, as well as teach classes on IRS topics. Run a smooth and profitable tax practice. The problem is every time things are going well, The IRS throws a wrench in the plan, and sends a pesky notice to your clients. Either you get a pit in your stomach and worry that you missed something when preparing the tax return, or the IRS missed something and now you have to explain it to your client and the IRS. 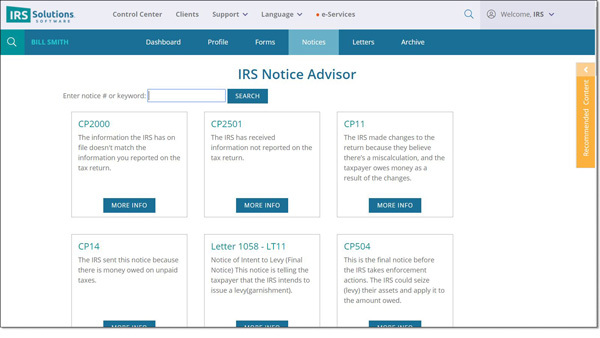 Use IRS Solutions Notice Response Tool to search the most common IRS notices your clients receive. 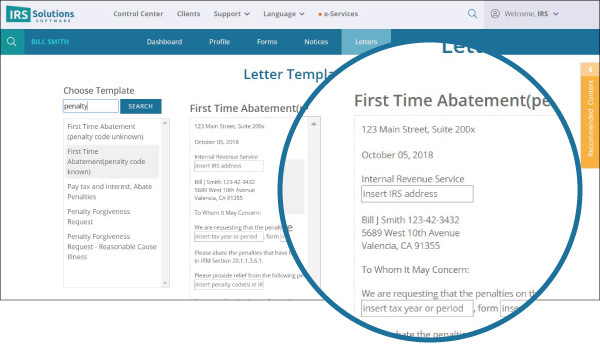 IRS Solutions Tax Resolution Software lets you customize your letter templates. Upload your company logo to add a more professional look to your letters. 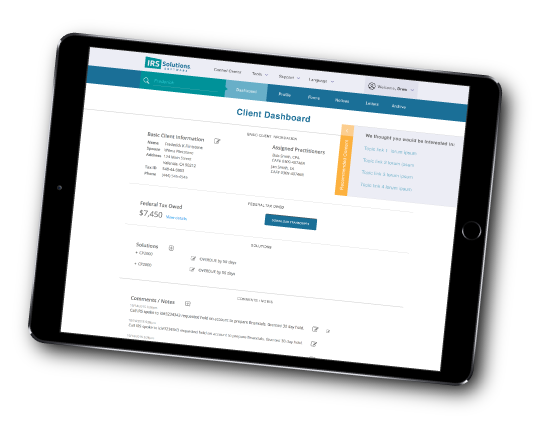 IRS Solutions has pre-loaded response templates, add your own template, or create one on the fly. No more wasting time looking for your letter templates and customizing them for each case. IRS Solutions gives you the tools you need to look like a pro! Quickly fill in the empty fields and generate your letter in less than 30 seconds! Use IRS Solutions Tax Resolution Software, it saves you time! 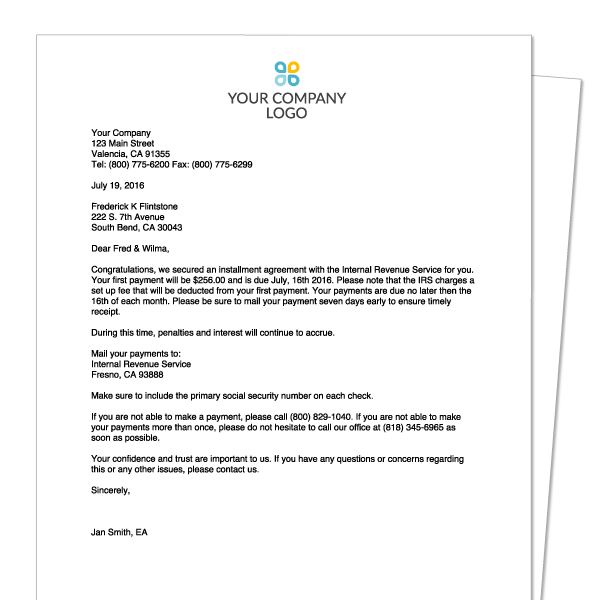 Simply format the letter and send it out to your client. Letters are generated in pdf allowing you to choose how to send it. 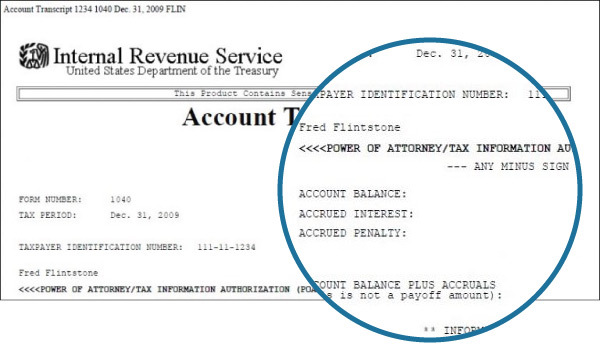 Email, fax, or mail the letter to your client or the IRS.